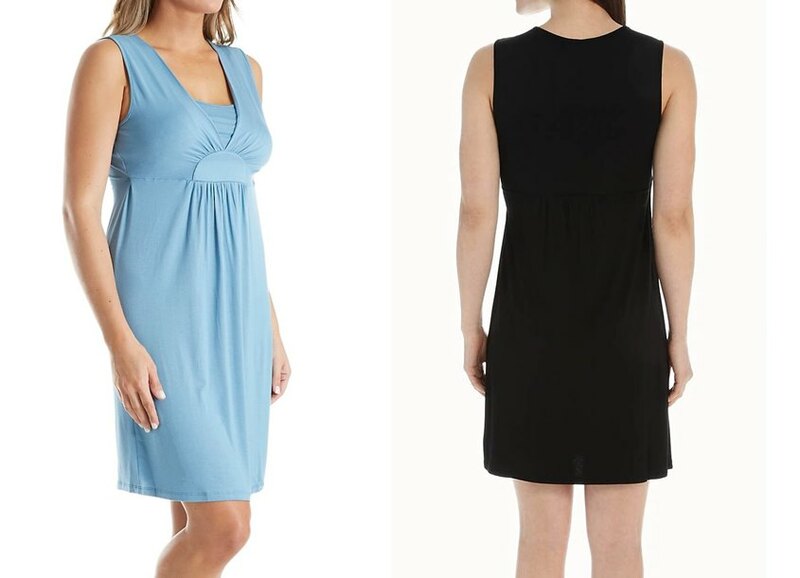 Maternity Sleepwear - No smoking, no booze, and definitely no junk food? No worries! Pregnancy might not be as smooth sailing and easy peasy as it seems to be for glamorous Kate Middleton and Gisele Bundchen, but today’s pregnant mommies have never been more stylish or fashion forward. Thankfully, the old fashioned, frumpy maternity lingerie that our grandmothers wore is now firmly in the rear view mirror. These days, just because you’re pregnant doesn’t mean that you can’t look and feel great. From maternity nightgowns and robes that rock to nursing bras and camis that are beautiful AND comfy, the choices have never been better. Let’s take a closer look. 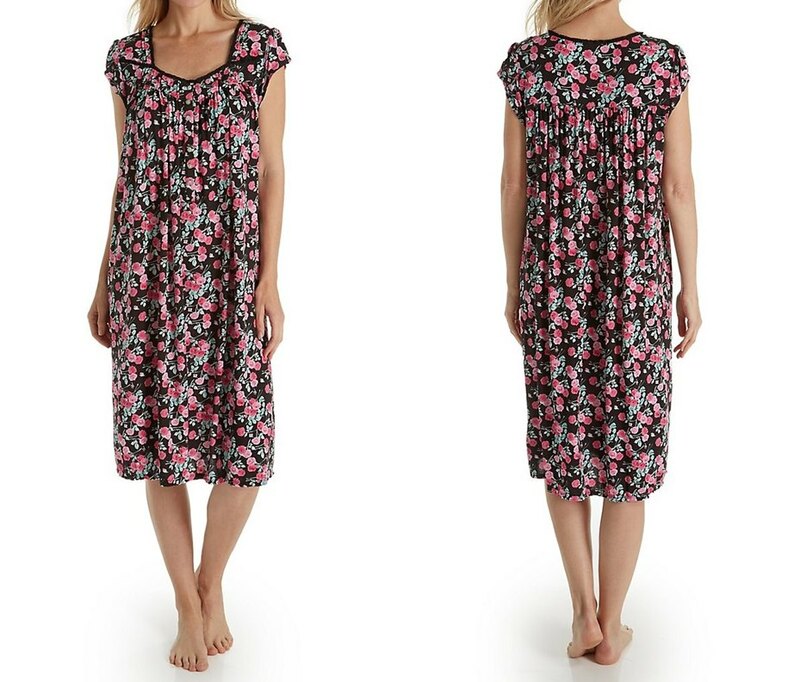 Which Nightgowns - make a great gift for moms to be? Maternity Nightgown - let’s face it, between a new wardrobe for your expanding waistline and expensive baby gear for your bundle of joy, pregnancy can get very pricey very quickly. The great news is that you don’t have to spend a fortune to look great - all it takes are a few simple tricks to shop smart and save money. Click here for money saving tips. 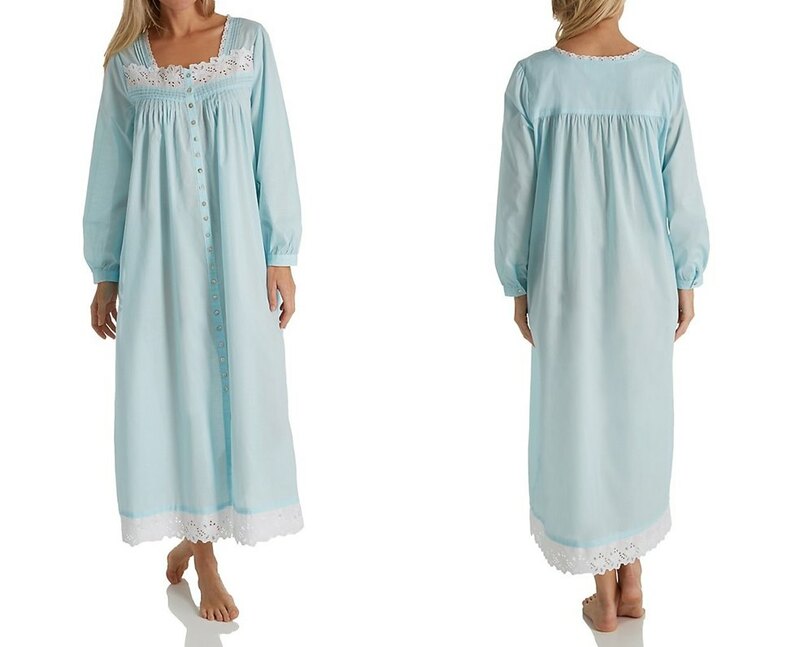 Maternity Nightgowns - pretty sleepwear with a luxurious trim is a great confidence booster for expectant mamans who may be feeling a little overwhelmed with all of the changes that pregnancy and having a new baby brings. From choosing the right styles and fabrics to making sure your nighty offers enough support, we share how to pick the best maternity sleepwear for your pregnancy. Learn more. Which Nightgowns Make A Great Gift? - so, your friend or loved one is expecting a bundle of joy in a few months and you’d love to splurge on a special gift for the new maman to be, but you’re not sure what to buy? No worries. Whether you’re looking for ideas on gowns and robes or know exactly what you want, this easy guide can help you with your search. Here's the 411. Night-gowns During Pregnancy - the days of unflattering maternity lingerie and sleepwear are a thing of the past and today's mothers-to-be are more in vogue than ever with exciting new styles. No matter what you shape is - celebrate your pregnancy with these insider tips on how to dress for your silhouette. Learn the style secrets. Nursing Nightgown - rule number #1 - banish the idea that beautiful lingerie becomes a thing of the past once you have a new baby. Rule #2 - While you’re probably crazy busy taking care of your new little one, it’s also super important to take a little time for yourself too. We’ve put together a few simple rules that can help you look and feel amazing even when it seems impossible. Get the rules. Nursing Gown - when it comes to colorful nursing gowns, the variety is fantastic. From the must-have essentials of wonderful white and best-selling black to exciting prints, patterns, polka dots and pretty florals, the cheerful combinations are almost endless. Let's take a quick look at the popular picks that new mothers are craving this season. Uncover the choices. Nursing Nightgowns - just because it’s your very first baby and you’re exhausted doesn’t mean that you need to spend the rest of your life in a frumpy grey tracksuit. Learn how easy it is to channel an effortlessly chic look in smart, stylish gowns that flatter and give you look a pop of colour and fresh appeal. Discover color. Nursing gowns - getting the best nursing gown that's a perfect fit for your shape AND looks great may seem next to impossible, but it isn't. The good news is that you don't have to sacrifice style for comfort. With a few key dos and dont's on styles, fabrics and colours, you can master this popular mommy must-have knowing that you look and feel fantastic. Explore the essentials.